First impressions are a little misleading, as the harbour area has been blighted by modern development. More appealing, however, are the narrow winding streets and lanes of the old town, which has not changed much over the centuries. There are many houses dating from the 16th, 17th and 18th centuries, as well as Kirkwall's greatest attraction, its magnificent cathedral, the finest medieval building in northern Scotland. Kirkwall is no gastronome's paradise and you'll be hard-pushed to find somewhere decent to eat in town. The best place to eat is probably the Foveran Hotel (see above). Otherwise, the Albert Hotel (see above) serves bar meals (made with home-grown produce, cheap to mid-range), as does the West End Hotel. The islands' only Indian restaurant is the Mumtaz, on Bridge St. 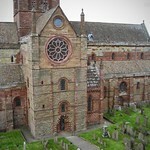 The best place for a snack is the St Magnus Café, opposite the cathedral. This is a true cafeteria-style café, serving substantial soups and rolls in a bustling and very friendly atmosphere. The town is compact and it's easy to get around on foot. The bus station is 5 mins' walk west of the town centre. The airport, T872421, is 3 miles southeast of Kirkwall on the A960. There are no buses to and from town. A taxi will cost around £6. The main street changes its name from Bridge St, to Albert St, to Broad St and Victoria St as it twists its way south from the busy harbour. The cathedral is on Broad St, and most of the shops and banks are on Broad St and Albert St.
On Broad St, near the cathedral, is the very helpful Tourist Information Centre, Tel. 872856, info@ otb.ossian.net They will book accommodation and change money, and also provide various useful free leaflets including The Islands of Orkney and the Kirkwall Heritage Guide. They also stock a wide range of guide books and maps, and have details of forthcoming events. Another good source is the weekly newspaper The Orcadian. Open Apr-Sep daily 0830-2000; Oct- Mar Mon-Sat 0930-1700. Details of inter-island flights and ferries are given in the relevant island sections. There's a limited bus service around the Mainland. Peace Coaches, Tel. 872866, runs regular buses Mon-Sat from Kirkwall bus station to Stromness 30 mins. They also run 3-5 buses a day, Mon-Sat, to Houton, 30 mins, which connect with ferries to Hoy; and a daily bus, Mon-Sat, to East Holm, 25 mins, and Stromness via Dounby, 55 mins. Causeway Coaches, Tel. 831444, runs 2-4 buses a day, Mon-Sat, to St Margaret's Hope, 30 mins. Rosie Coaches, Tel. 751227, runs buses to Tingwall and Evie. The bus service between Kirkwall and Burwick is run by Shalders Coaches, Tel. 850809. Note that there is no Sun bus service on Orkney. Scarth Car Hire, Great Western Rd, Tel. 872125. WR Tullock, Castle St, Tel. 876262, and Kirkwall airport, Tel. 875500. Bobby's Cycle Centre, Tankerness Lane, Tel./Fax. 875777. Mountain bikes from £8 per day. Branches of the 3 main Scottish banks with cash machines are on Broad St and Albert St. Exchange also at the tourist office. Post office: Junction Rd. Open Mon-Fri 0900-1700, Sat 0930-1230. The Launderama, Albert St, Tel. 872982. Open Mon-Fri 0830-1730, Sat 0900-1700. Balfour Hospital, Health Centre and Dental Clinic, New Scapa Rd, Tel. 885400. 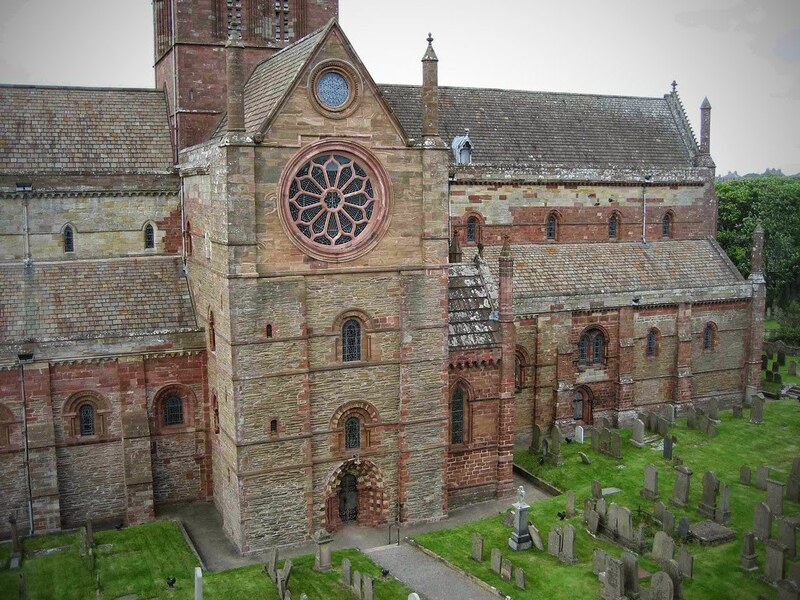 The town's outstanding sight is the huge and impressive red sandstone St Magnus Cathedral, built by masons who had worked on Durham Cathedral in the north of England. It was founded in 1137 by Rognvald Kolson, Earl of Orkney, in memory of his uncle, Magnus Erlendson, who was slain by his cousin, Haakon Paulson, on Egilsay in 1115. Magnus was buried at Birsay and it is said that heavenly light was seen over his grave. It soon became a shrine, attracting pilgrims from as far afield as Norway. Magnus was canonized in 1133, and four years later his nephew commissioned construction of the cathedral. The building wasn't completed until the 14th century, and major additions were made during the intervening centuries. The most recent addition was a new west window for the nave, to celebrate the cathedral's 850th anniversary in 1987. The bones of St Magnus now lie in the north choir pillar, while those of St Rognvald lie in the south one. There's also a memorial to John Rae, the 19th-century Arctic explorer who is buried in the graveyard, as well as a monument to the 833 men of the HMS Royal Oak who died when it was torpedoed in Scapa Flow in 1939. Info - Apr-Sep Mon-Sat 0900-1800, Sun 1400-1800; Oct-Mar Mon-Sat 0900-1300 and 1400-1700, Sun service at 1115. Looming impressively nearby are the ruins of the Bishop's Palace, built in the 12th century as the first Kirkwall residence of the Bishop of Orkney. (We have special entry passes) Here King Haakon of Norway died in 1263 after his defeat at the Battle of Largs. The palace was repaired and extended in the mid-16th century by Bishop Reid, and most of what you see dates from that period. There's a good view of the town from the top of the 'Moosie Too'r'. The adjacent Earl's Palace was built around 1600 by the notorious Patrick Stewart, Earl of Orkney, using forced labour. 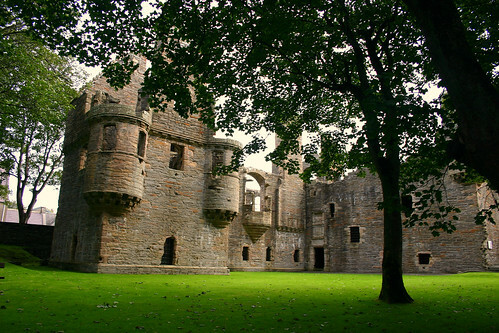 Still very much intact, it is one of Scotland's most elegant Renaissance buildings and was occupied by the tyrannical Stewart only for a very short time, until he was imprisoned and later executed. 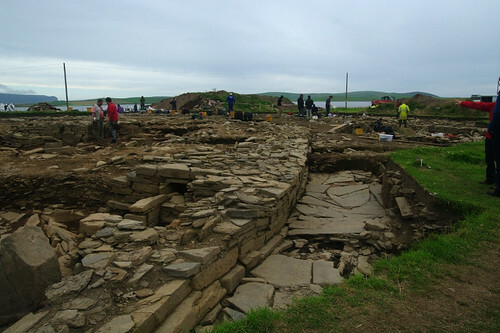 Wandering around both these spectacularly impressive, and solid, buildings is a very good way to get a feel for a period of Orkney's history that is very often ignored, with the likes of Skara Brae just up the road. Info - Apr-Sep daily 0930-1830. £2, concession £1.50, children £0.75. Joint ticket for all Orkney monuments also available. Tel. 871918. Opposite St Magnus Cathedral is Tankerness House and Gardens, a 16th-century former manse which has been restored and now houses the Orkney Museum, which features various archaeological artefacts from Neolithic times to the Vikings. If you are spending any time in Kirkwall at the beginning of your stay, then this is an exceedingly worthwhile exhibition. It is a great way to whet your appetite for the archaeological gems that are lying in wait for you all over the islands, and it also puts them into a useful chronological context. Info - Oct-Mar Mon-Sat 1030-1230, 1330-1700; Apr-Sep 1030-1700; May-Sep also Sun 1400-1700. Free. Tel. 873191. Old radio buffs should not miss the Orkney Wireless Museum, at Kiln Corner, at the harbour end of Junction Road, which houses a jumble of domestic and wartime communications equipment from the 1930s onwards. Info - Apr-Sep Mon-Sat 1000-1630, Sun 1400-1630. £2, children £1. 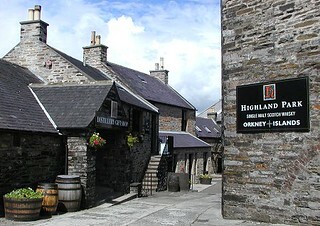 A mile south of the town centre on the road to South Ronaldsay is the 200-year-old Highland Park Distillery, the most northerly of Scotland's whisky distilleries. There are guided tours of the distillery, one of the few that still has its own floor maltings, and a wee dram of this particularly fine single malt at the end. Info - Tours every half hour Apr-Oct Mon-Fri 1000-1700 (last tour at 1600); Jul and Aug also Sat and Sun 1200-1700; Nov, Dec and Mar Mon-Fri at 1400 and 1530 only. Adult £3, concession £2, children £1.50. Tel. 874619. The Bothy Bar at the Albert Hotel is a good place for a drink, and sometimes has live folk music. The hotel's Matchmakers Bar has a disco at weekends. The Ayre Hotel also stages folk music nights. Check details in The Orcadian. The town's New Phoenix cinema is housed in the Pickaquoy Leisure Centre, Tel. 879900, on Pickaquoy Rd. It also has sports and fitness facilities, and a café and bar. ONly discovered in 1984, this is another fascinating neolithic monument that makes this area absolutely remarkable. 15 houses that date back to 3000BC. Walk from the Standing Stones of Stenness. 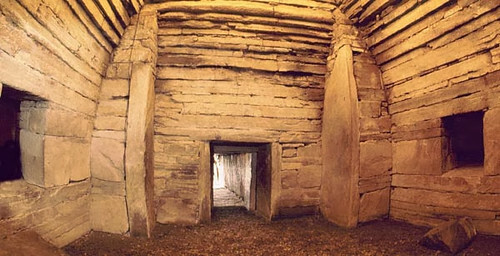 Maeshowe is a Neolithic chambered cairn and passage grave situated on Mainland. It was probably built in around 2800 BC. 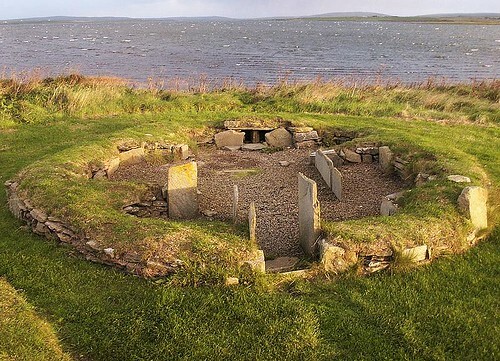 It gives its name to the Maeshowe type of chambered cairn, which is only found in Orkney. The most recent Neolithic site in the area and to some accounts the most important. Dates back to 3500BC and was occupied for 1500 years. In the summer months, archeologists are hard at work. Two Henges (or sets of standing stones) in walking distance of each. Catch them at sunset or early evening when you will virtually have them to yourself. Amazing and so much more exciting than Stonehenge! Located on the banks of the famous "Scapa Flow", Scapa Whisky Distillery was used as an ammunition for the British Army during world war I. 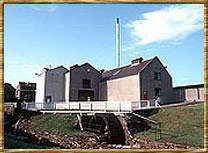 The top hotel in Kirkwall is the very comfortable B-C Ayre Hotel, Tel. 873001, Ayre Hotel on the harbour front. Another good option is the B-DAlbert Hotel, Tel. 876000, Email Albert Hotel on Mounthoolie Lane in the centre of town. It also has a restaurant and a couple of lively bars (see below). Two miles from town on the A964 Orphir road at St Ola is the D Foveran Hotel, Tel. 872389, The foveran Hotel overlooking Scapa Flow. It is friendly and comfortable, and also offers very good food, including vegetarian. The D West End Hotel, Main St, Tel. 872368, The west End Hotel is central and serves good bar meals. There are also plenty of cheap B&Bs, though most rooms are small and don't have en suite facilities. E Whiteclett, St Catherine's Pl, Tel. 874193. A 200-year-old listed house near the harbour; and E-F Arundel, Inganess Rd, Tel. 873148. A modern bungalow on a quiet road about a mile from the town centre. F SYHA Youth Hostel, Tel. 872243, open Apr-Sep. This large, well-equipped youth hostel is on Old Scapa Rd, about 15 mins' walk from the town centre. There's also camping at Pickaquoy Caravan & Camping Site, Tel. 873535. 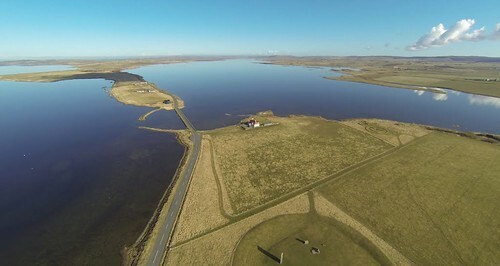 Open May-Sep, on the western outskirts of Kirkwall, off the A965.